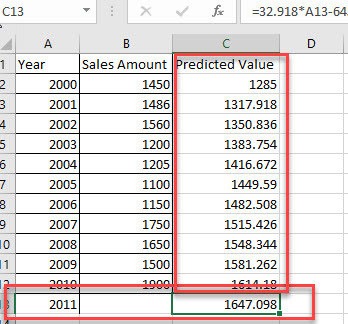 Archive by category "Revolution R"
Check the Linear regression introduction and how to use excel for linear regression. In this post, let me explain how to use R programming for linear regression. 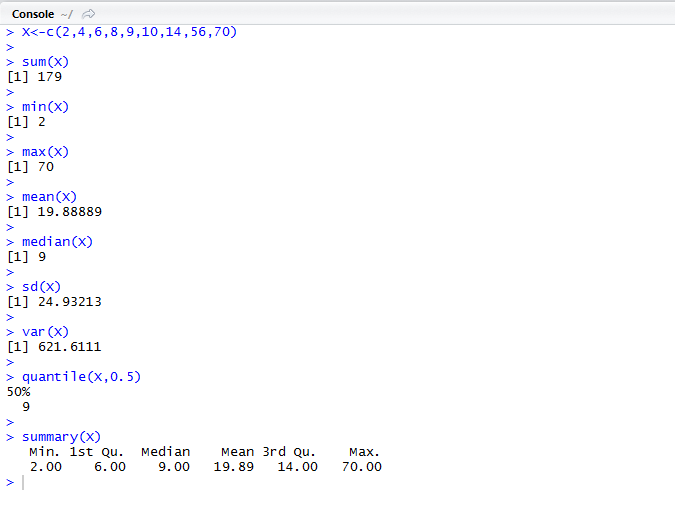 I am taking the same dataset in R to produce the linear regression. Before starting with linear regression, let us try to understand the machine learning concepts. As of today, machine learning is one of the trending technologies as the applications are started to consume real-time data and deliver machine learning services. As part of machine learning, we have three different types of machine learning models available. In Supervised Learning, the system tries to learn from the previous examples that are given. Under supervised learning, we have classification and regression models. One of the common and simple techniques for predicting a continuous variable is called linear regression. It assumes a linear relationship between the outcome and the predictor variables. b is the regression weight or coefficient associated with the predictor variable x. 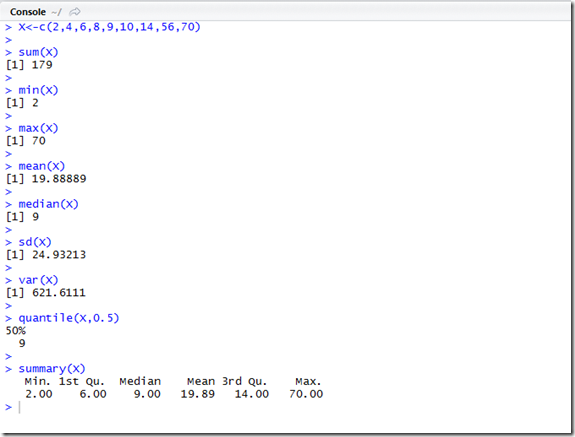 This post covers the linear regression on excel and R studio. Step 1: Consider you have year wise sales amount. 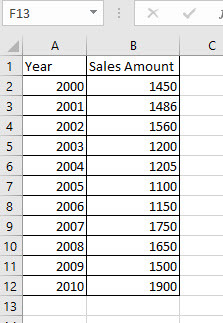 You are in the situation to predict the sales amount for the year 2011. 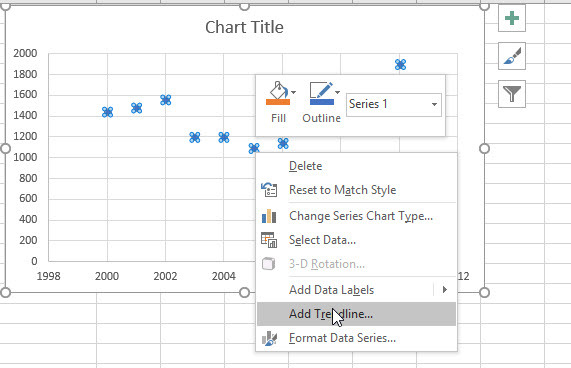 Step 3: Right-click on the line and choose trendline. 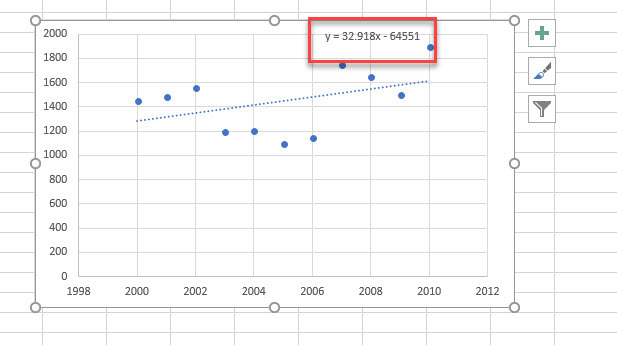 Step 4: Display the equation on the trendline by selecting the checkbox on the Format trendline properties. 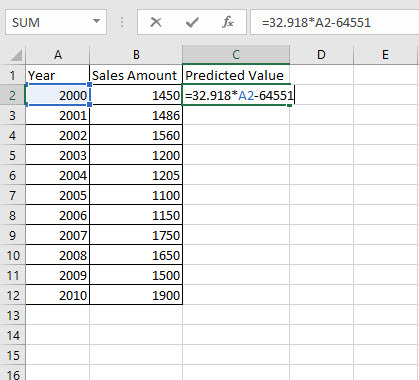 Step 5: Predict the value using the generated formula for existing values. Step 6: Predict for the year 2011. As you can see the values are not 100% correct, we need to adjust the con-efficient and reduce the r2 values to get the perfect result. 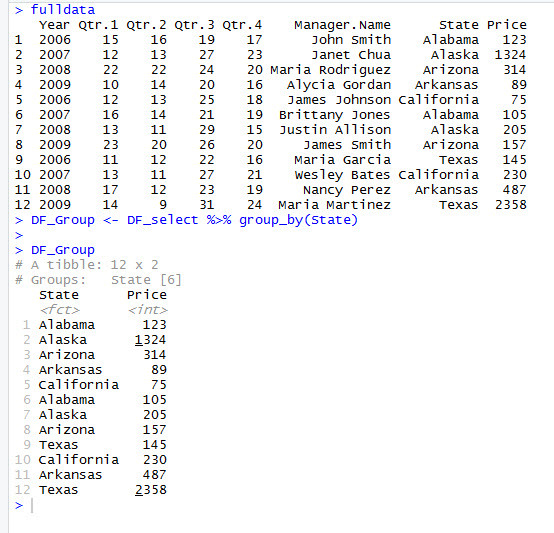 Following my previous post, we have another few functions on dplyr package which will be covered in this post. As part of data modelling, we need to sort the data to analyze further. 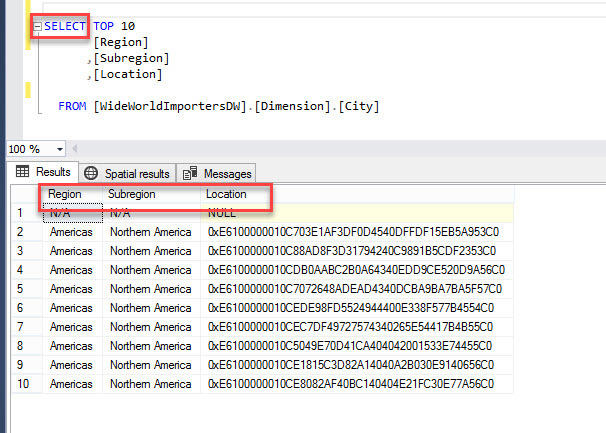 In T-SQL we can easily perform the sort on the data as like below. 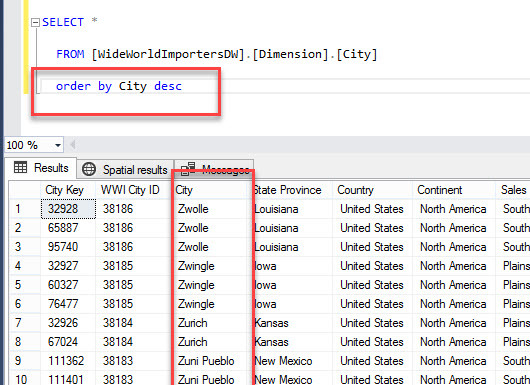 It uses “Order by” clause to sort the data. 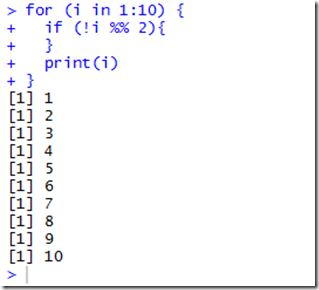 In R, we need to use arrange function. The next, very common task is to build the calculated column to satisfy the business logic. This can be easily done with the help of “mutate” function. R is one of the very famous tools to handle the data science projects because it has all the capabilities right from the extracting the data from different sources, data modelling and transformation, data visualization and finally building machine learning models using the data. 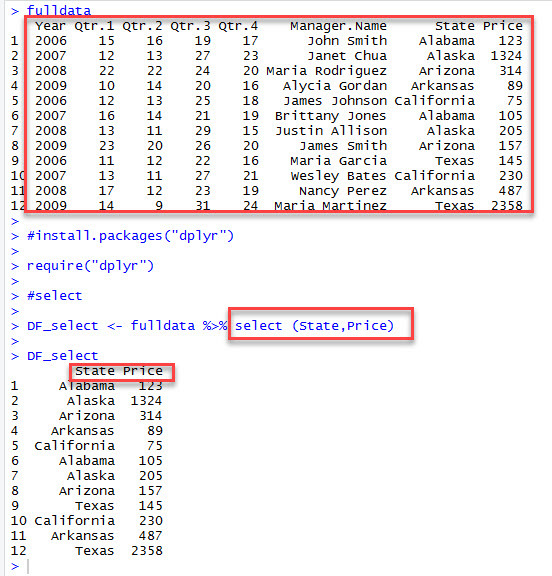 This post explains how the data modelling can be done with R using “dplyr” package. 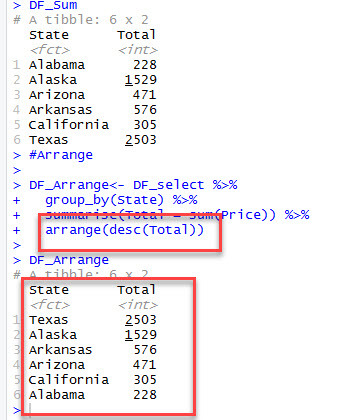 To make it easy, let me compare this dplyr function with T-SQL. First, let us load the data into R studio. 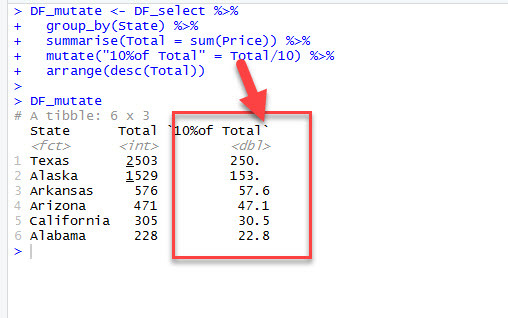 The same option is available in R with dplyr package. 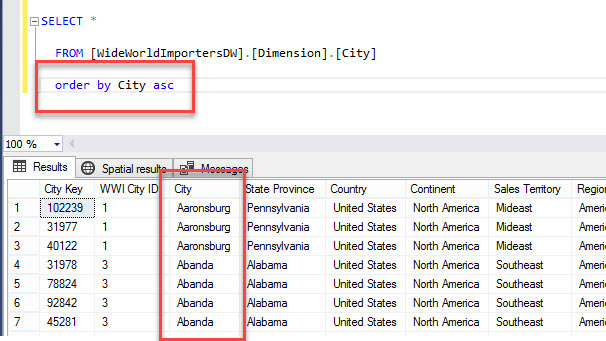 In T-SQL, we have where condition to filter any data with different conditions. 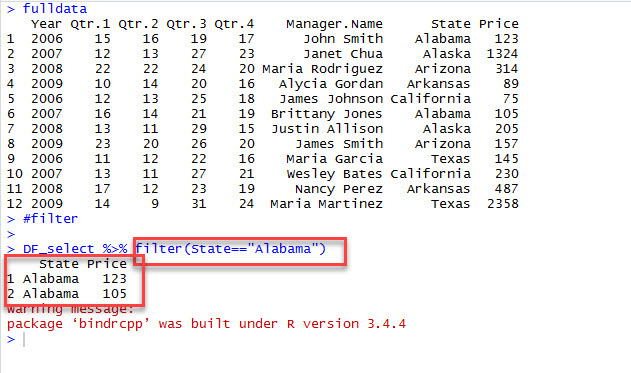 The same filter option is available with dplyr functions. Check out my previous post to see the streamgraph chart comparison. 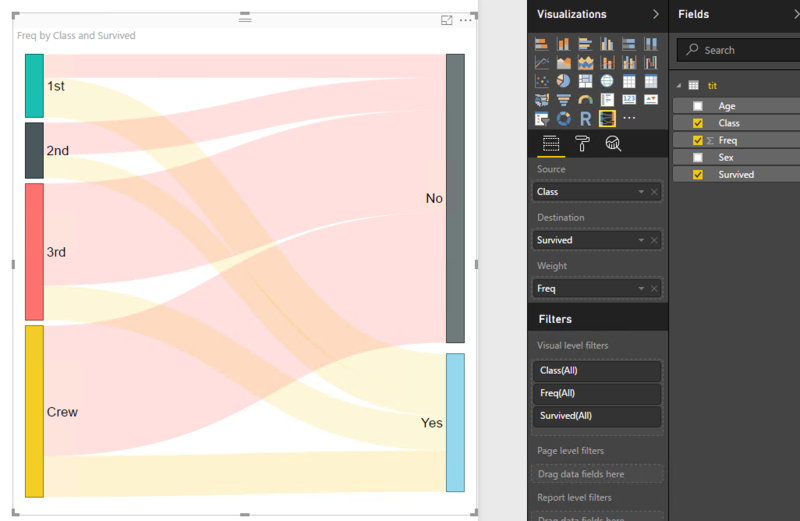 We have a Sankey chart custom visual available in Power BI. Download and import into Power BI Desktop. Here I used a dataset called Titanic. 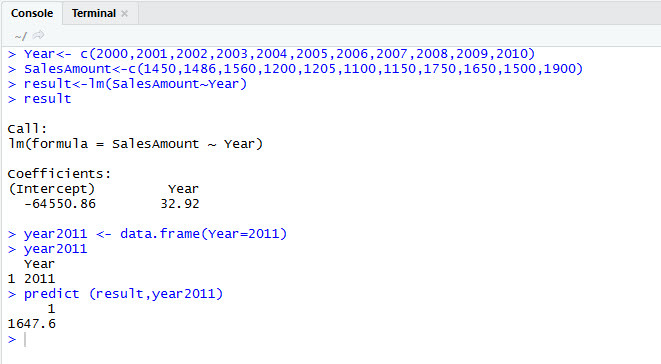 This is one of the datasets in R which I used for this post. To get the sankey visual, we need to install the alluvial package. 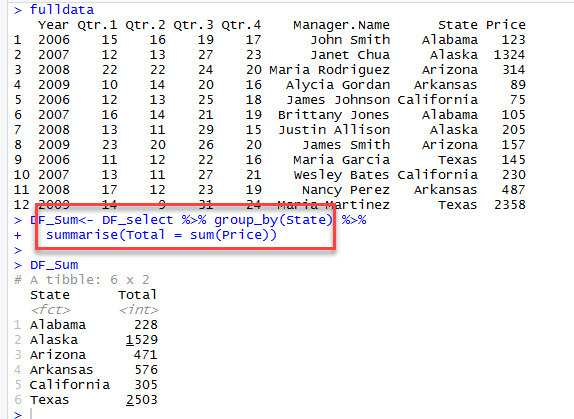 Run the below script in R Studio or R console application. Only 2 levels of visual by default for the simple dataset. To see multi-level visuals then need to prepare a dataset with multi-level of source and destinations Multi-Levels of visual – Just add the number of fields. R language has many built in functions, in which statistical functions are mostly used on numeric vectors. median(x) – The median of numeric vector x. 50% of data should be less than median and balance 50% data should be greater than median. quantile(x,p) – The Pth sample quantile of numeric vector x. for example, quantile(x,.3) will tell us the value at which 30% of cases are less than value x.
summary(x) – It shows several statistics of vector x, including the above. In a real time, we will be in a position to handle the logic using loops. 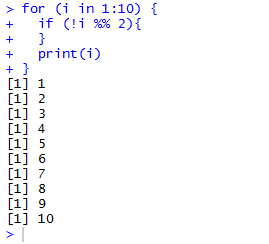 Loop concept is available in all programming language and also in R.
For example, if we want to generate first 200 prime numbers, we have to use loop to get the result. In R, “for loop” is used to iterate over a vector. In the above syntax, sequence is a vector which we can define and assign into an object and can use the object or we can directly place the vector with the expression. “val” will take the value of sequence and process in a loop. The statement will be triggered until the length of the sequence is completed. If you run above script, I will get the result as 1,2,3,4,5,6,7,8,9,10 (All the values from the 1:10 sequence). 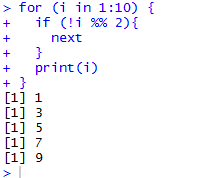 If you want to display only the odd number for the same sequence input then I can just add a “next” keyword inside if loop. First “i” value 1 will go to if condition once the value reaches the keyword “next”. It will redirect to for loop again and it will come again for the second number i.e. 2 and it will continue up to 10.